This morning, June 16, Freddie Gibbs was granted bail by a French court, Daily Mail/AFP reports. According to a statement from his lawyer, Michael Malka, bail has been set at €50,000 ($56,000) ahead of a court ruling on June 23. Gibbs' manager, Ben Lambert, did not immediately respond to a request for comment. 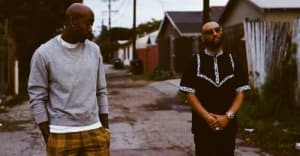 I am pleased to announce that the French attorneys, Ludovic Riviere and Michael Malka, were able to convince the Judge in Toulouse to release Freddie Gibbs on bail pending a final decision on the extradition request by the Austrian authorities. He will be released upon the deposit of $50,000 Euros. He will be required to turn in his passport and check in with authorities 3 times per week. We expect him to be released either today or tomorrow while the court decides what to do with the extradition request. Additionally, last weekend, I had the chance to fly to France and meet with Freddie and the attorneys from both France and Austria. After the meeting, and talking to Freddie it is really shocking these allegations were ever filed against him. They were brought months later with no scientific nor physical evidence against him. We are hoping that the Public Prosecutor in Austria sees this and decides not to file formal charges against him. If she does, Freddie will fight them with everything he has. He has worked too hard on his career and family to get where he is and is in complete shock over this false allegation. It is important to note that his fiancée has flown to France to support him. She has his back and knows he didn’t do anything wrong.